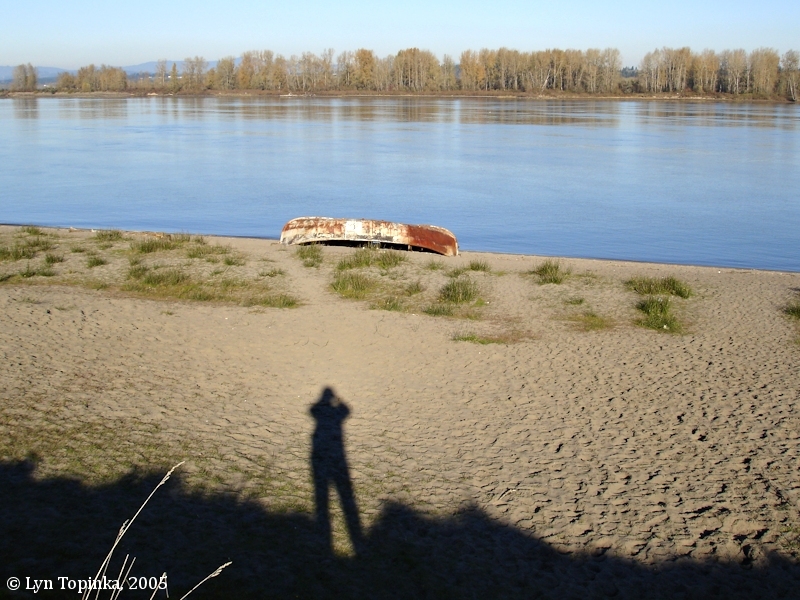 Welcome to "The Columbia River - A Photographic Journey". This site covers places and history along the Columbia River, following the route of Lewis and Clark in 1805 and 1806, and includes other explorers such as Lieutenant Broughton in 1792 and Charles Wilkes in 1841, information on the Hudson's Bay Comapany, as well as quite a bit of local history and trivia. This site will most likely never be done as new text and images are constantly being added ... feel free to browse. ColumbiaRiverImages.com is the main site and is called "The Columbia River - A Photographic Journey". It contains images of places and areas along the Columbia River from Richland, Washington, to the Pacific Ocean. This section is full of historical information and trivia. "Penny Postcards" covers the same stretch of the Columbia with early Postcards. This section, called "The Golden Age of Postcards", contains 1:1 scans of postcards within the collection of this webauthor. RidgefieldBirds.com is a companion site called "Ridgefield National Wildlife Refuge - A Photographic Journal". It contains images of over 150 birds seen at the Refuge. Lewis and Clark camped there twice. "Birds" is a section which includes the birds from the Ridgefield Refuge and other places along the Columbia River, plus those photographed in other areas. For "birder folks", this list is my "photographic lifelist". "Wildflowers and Weed Blossoms" is a section begun in 2008 which now includes images of nearly 250 different blossoms found along the Columbia River corridor. Most of these images were shot with "superzooms" in Macro settings. All images on this site were taken by me, Lyn Topinka - see my "Self Portrait". All images are copyrighted and not to be used without permission. Some images presented on this website have been cropped for best visual composition, and color has sometimes been heightened for best impact. All images are copyrighted and not to be used without permission. The "Penny Postcards" are all in the collection of this web author and again, not to be downloaded or used without permission. They have been scanned in 1:1 or larger. My own "Corps of Discovery" -- As with any major expedition, it takes a team to make the journey successful. Lewis and Clark's "Corps of Discovery" consisted of themselves, 32 men, one woman, a baby, and Captain Lewis's newfoundland dog named "Seaman". I too had my own "Corps of Discovery". Lewis and Clark quotations are from their journals, as presented by Gary Moulton, University of Nebraska Press. For more information on these journals please check out their website. All attempts have been made to type the quotations exactly as in the Moulton editions, however typing errors introduced by this web author cannot be ruled out. Not all quotations on every locality from every member's journal are included -- those selected were done so based on this website author's interest and free time. If time permits and this website author becomes independently wealthy and no longer has to work at a paying job for a living, more quotations will be added. Location interpretation from variety of sources, including this website author. River Mile (RM) measurements start at the mouth of the stream (RM 0.0) and are measured in statute miles (one statute mile = 5,280 feet) along the center line of a river.